Bristol Rovers will play Southend United at Roots Hall. 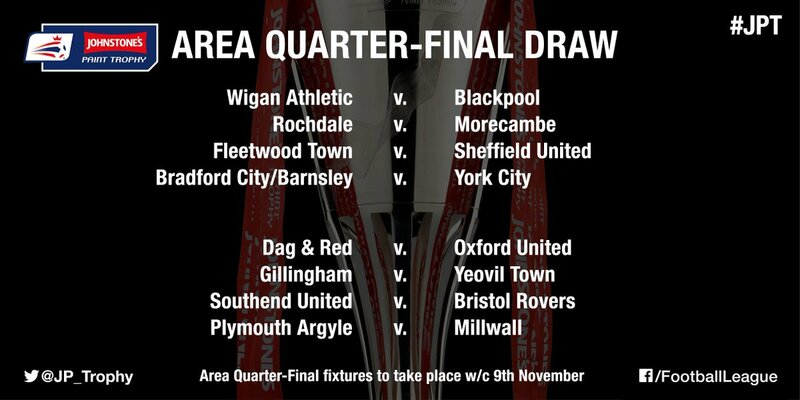 The Area QF Draw of the Johnstone’s Paint Trophy has been made. From the Area Quarter-Finals onwards, teams are grouped in two sections – North and South. The winner of each section progresses to the final at Wembley on 3rd April. 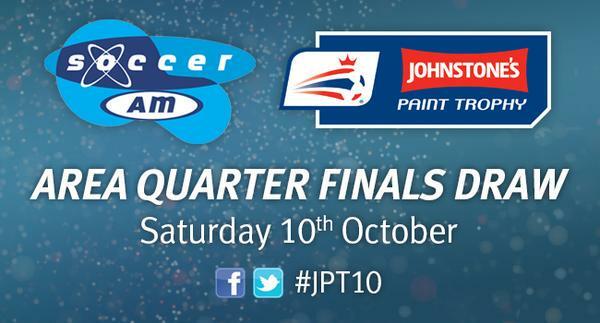 Area Quarter-Final ties will be played during the week commencing 9th November 2015.